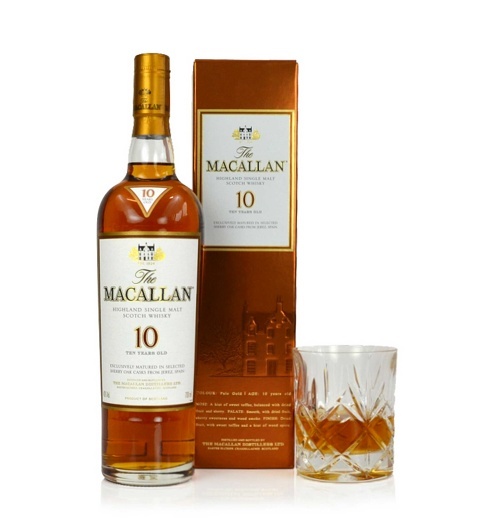 The Macallan Speyside 10 year old single malt whisky is highly regarded by whisky connoisseurs. Matured in bourbon and sherry oak casks the whisky reveals the Macallan spirit which is first class. The gift is a perfect choice for any whisky lover who knows their stuff! With hints of honey and complex fruits the bottle 70cl 40% is available for UK next day delivery.